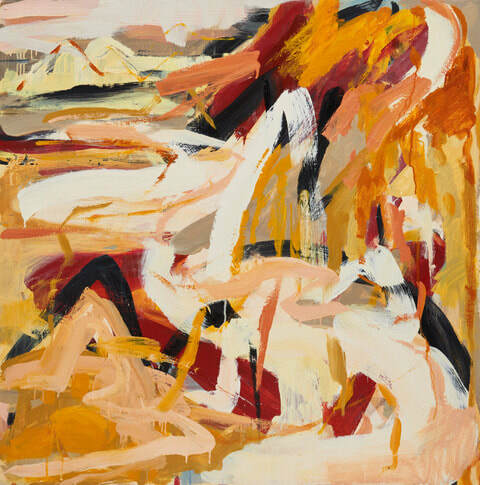 Ochre completed her Bachelor of Fine Arts at National Art School, Sydney in 2007 and completed a Diploma of Fine Arts at the Southbank Institute of TAFE, Brisbane in 2001. She has exhibited in both solo and group exhibitions including Gallery 371, Sydney; Chrissy Cotter Gallery, Sydney; Kensington Contemporary, Sydney; A-M Gallery, Sydney; Defiance Gallery, Sydney; and Mary Place Gallery, Sydney, Watch this Space gallery in Alice Springs, and Metro Art Gallery in Brisbane. Ochre has been awarded public commissions for Urban Growth Sydney, NSW Transport and for Momac residential development in Canberra. She was awarded the recent residency at Moriumius in Japan, and three residencies at Bilpin International Ground of Creative Initiative in the Blue Mountains. 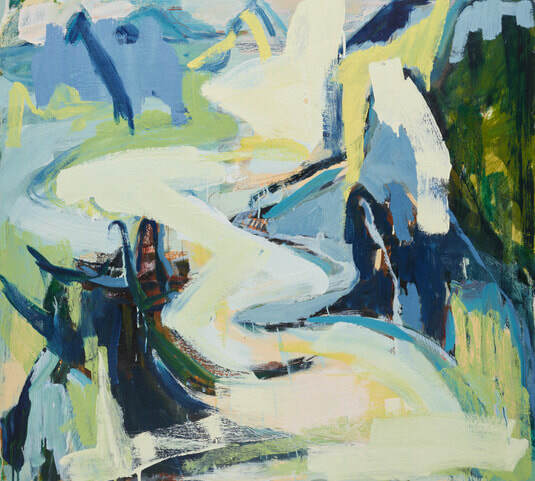 Her work has been a finalist in the NSW parliament plein air art prize, the Waterhouse natural science art prize, the Fishers Ghost art prize, the Gosford Regional Gallery art prize, Waverley Woollahra art prize and the Defiance small sculpture prize. Ochre teaches art and works from her studio in Sydney. We are part of the natural world. It sustains us, we depend on it for food, air, water and yet we are the only species on earth that destroys the very thing on which we depend for our survival. Wilderness is land that has not been disturbed by human beings. An eco system that is intact and self sustaining. My interest as an artist is to depict wilderness landscapes in all their immensity and my relationship to it through an emotional response firstly working en plein air and then back in the studio from sketches and memory of place. Many people believe as a species we need to tame nature to live within it. Build dams, change water courses, build sea walls to stem tsunamis, dig, plow, move earth, concrete over, use chemicals over food we grow, clean with chemicals that then pollute our water from which we drink and swim, not live with - but in spite of the earths natural rhythms. But nature always wins in the end because nature is the most ferocious of opponents, and yet the most gentle collaborator. This body of work incorporates landscapes from both the wilderness alpine landscape in Tasmania, where I was hiking for over a month in January 2017, and a remote coastal community in Japan that had been badly affected by the 2011 Tsunami, where I was artist in residence in September 2017. ​Though the visceral nature of paint, mark making, the calligraphic drawn line, form, memory and emotional response to the landscape I try to represent the wild coast in Japan where I stayed and the wilderness of the Tasmanian alpine region. Both landscapes are steep, alpine and have a wild nature, one with sea the other with mountains that cannot be tamed no matter how hard humans try.